Universal joint cross (u j crosses) and bearing cups are one forged piece, especially prepared for heavy duty applications. These universal joint cross and automobile universal joint cross are made from case carburized alloy steel in precision dimensions. Finest quality needles are applied to ensure extra long life. Apart from this, proper oil sealing is done to avoid lubricant losses and penetration of impurities into the bearings. The UJ crosses can work under proper load with safe operation and smooth running without vibrations. U.J. crosses & bearings cups are manufactured using case carburising alloy steel. Having precision dimensions, these U.J. crosses & bearings cups are designed to provide long service life even in highly demanding applications. 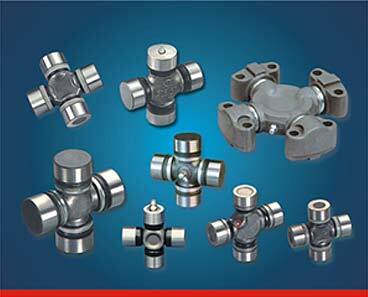 A wide range of CNC turned shaft components is offered in finest materials as per SAE specifications. These shaft components are produced in OEM and aftermarket specifications, according to the requirements of the customers. 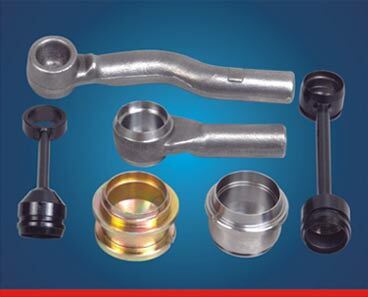 OEM and aftermarket automobile products in this range are manufactured by forging. 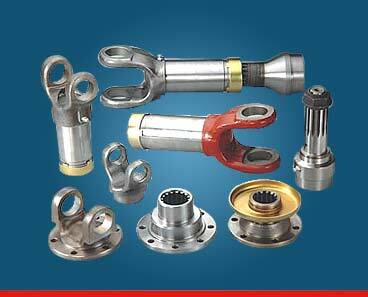 This range includes automotive components like Tie Rod Ends, Ball Joints, Pitman Arms, Idler Arms etc. Sheller is fully equipped to meet specific requirement of customers for any type of forged components. Developed using modern technologies, the forged products are available in various profiles like carbon steel, alloy steel, stainless steel, etc. Besides this, the weight is ranging form grams to kilograms suiting clients' needs.